During the Summer, Riana Development Foundation arranged for a group of young people from less privileged backgrounds to take pictures of aspects of our city and community that caught their attention and to describe in just a few words what these pictures meant to them. The Workshop will provide a centre point for them to start thinking about global issues and how to take action. 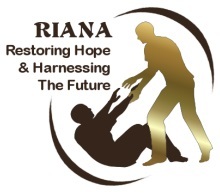 Riana Development Foundation Network (RDFN) Founded in 2005 promotes Community Programmes aimed at building capacity for self-reliance through direct work with young people in the UK and overseas. § Youth and Advocacy, focusing on issues which are local to young people in the UK and overseas.